The Sinai Peninsula was created some 50 million years ago with the movement of the Arabian tectonic plate from the landmass of Africa. The Peninsula lies at the northern tip of the Red Sea and is separated from mainland Egypt by the Gulf of Suez to the west and from Arabia by the Gulf of Aqaba to its east. It marks the gateway between Africa and Asia and was formed by the Great Rift between the two continental plates. At its southern-most tip lies the resort of Sharm El Sheikh (usually referred to simply as Sharm), where the Red Sea splits to form the two gulfs. 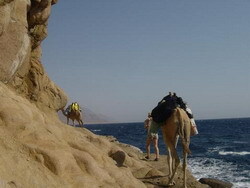 North of Sharm, some 95 km by road, lies the resort of Dahab on the Gulf of Aqaba. 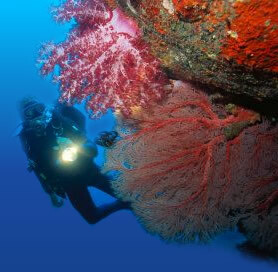 Both resorts are famed for the magnificent diving and snorkelling opportunities in the warm waters off their coastlines. 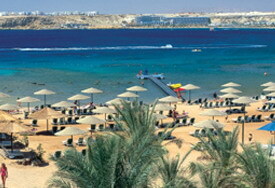 Sharm has developed along a series of picturesque bays with sandy beaches interspersed with rugged headlands, stretching from Sharm El Maya in the south to Nabq Bay in the north. An hours drive from Sharm Sharm through the stunning mountainous scenery and you arrive at the picturesque coastal resort of Dahab (the name of which translates literally as gold).